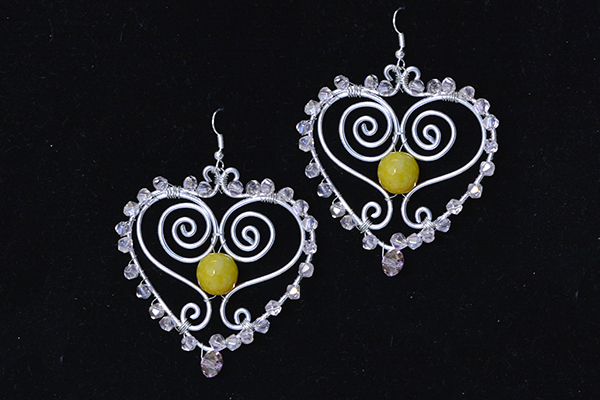 Wanna learn how to make the following stunning drop earrings with aluminum wires and glass beads? Just follow the simple instructions below. 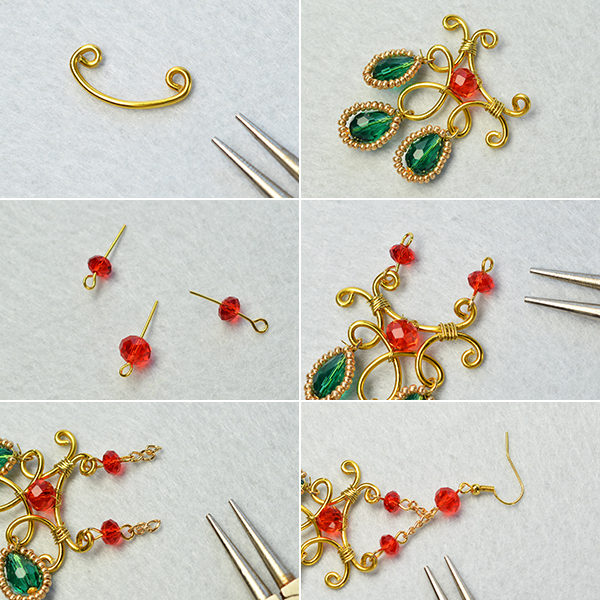 Lastly, repeat the above steps to make another stunning drop earring. Wow, this pair of golden wire wrapped and glass bead earrings are done! 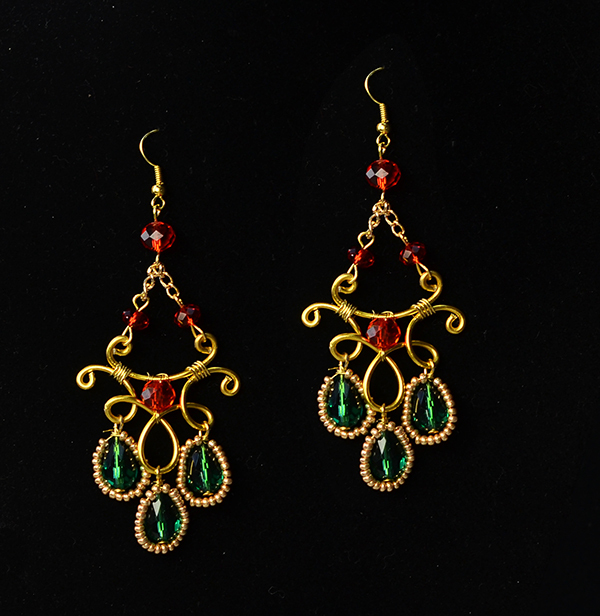 As you can see from the above picture, the red glass beads and green glass beads look more stunning when the golden wire wrapped and glass bead earrings are put in black background. 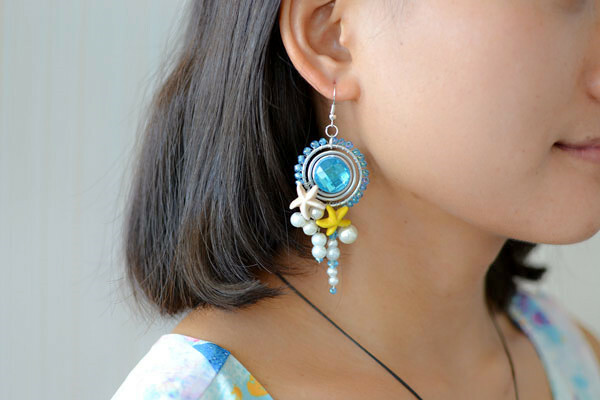 Try to make a pair if you like the stunning drop earrings. Hi, dear friends, how are you? 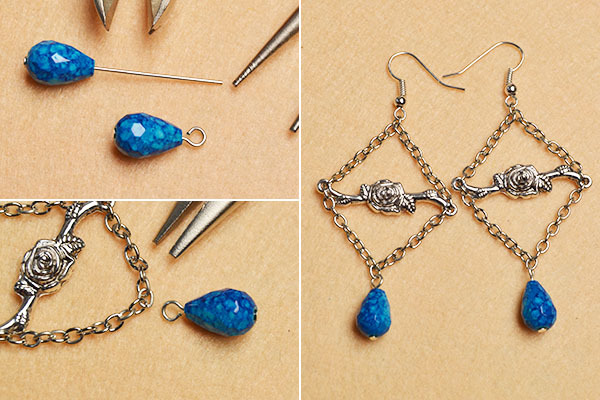 Today, I want to share two pair of easy DIY earrings with blue drop glass beads with you. 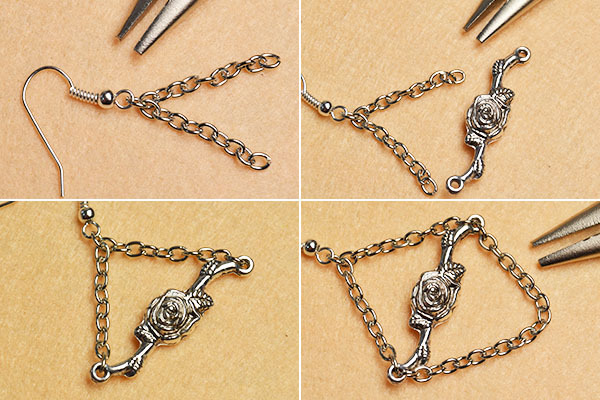 Just prepare some blue spray painted drop glass beads, antique silver rose flower links, chains and earring hooks, and then you can start with the simple instructions below. 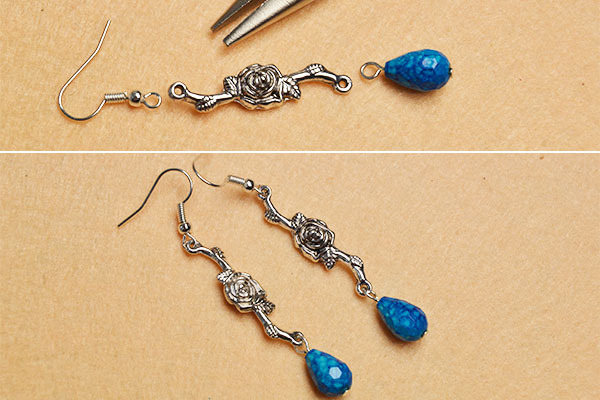 Fourthly, add a rose flower link and a blue drop glass bead to an earring hook. 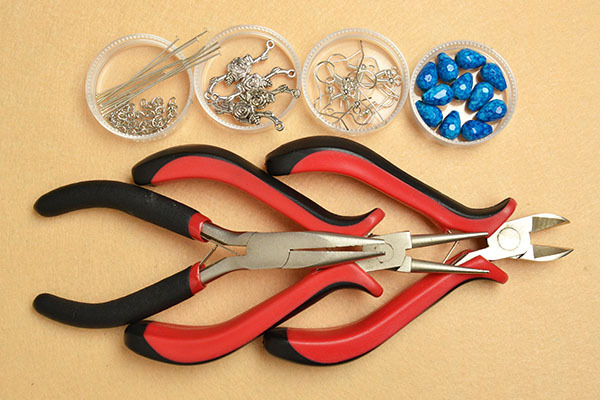 Then, make the other pair of the easy drop earrings. Tada~ the easy square chain and blue glass bead drop earrings and the easy drop earrings are finished! 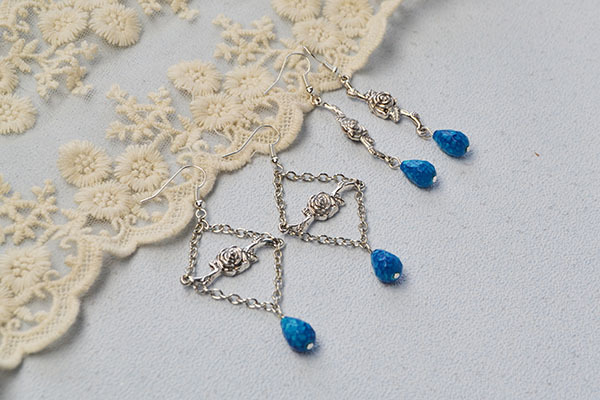 Just with the above simple steps, the blue glass bead drop earrings can be done. Do you like them? Try to make a pair or both if you like them. 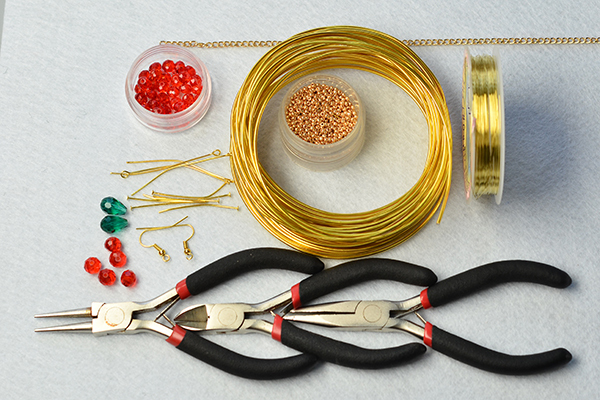 Secondly, wrap the aluminum wire with golden copper wire. 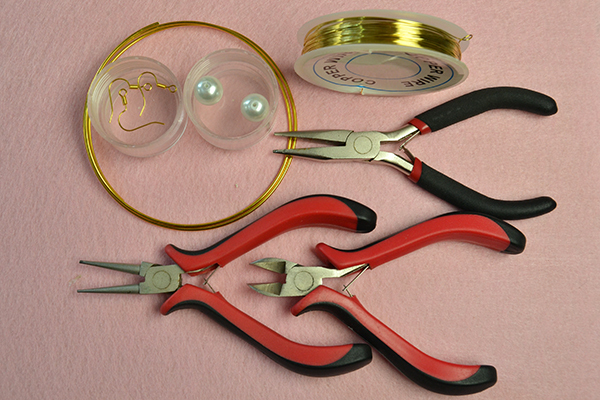 Thirdly, repeat the above steps to make another golden wire and white pearl bead earring. 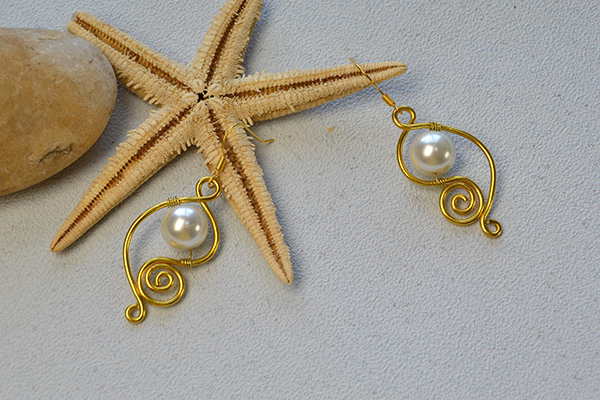 Here is the final look of the golden wire and white pearl bead earrings. 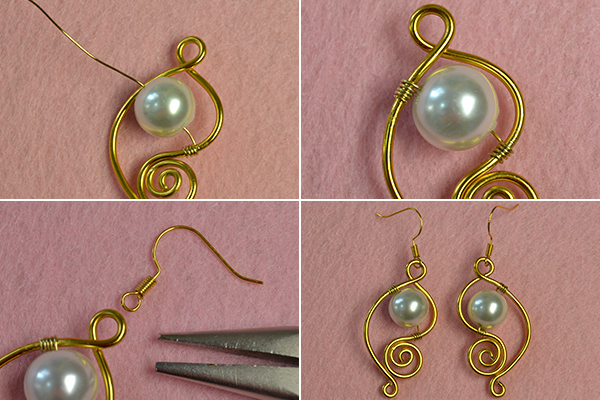 Tada, the golden wire and white pearl bead earrings are finished! It may take some time to twist the aluminum wire. If you meet any problems during the process, please leave a comment below. 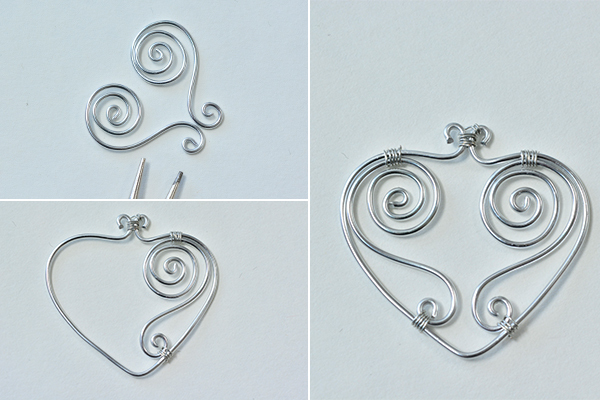 Hi, everyone, do you want to learn some easy wire wrapped jewelry? 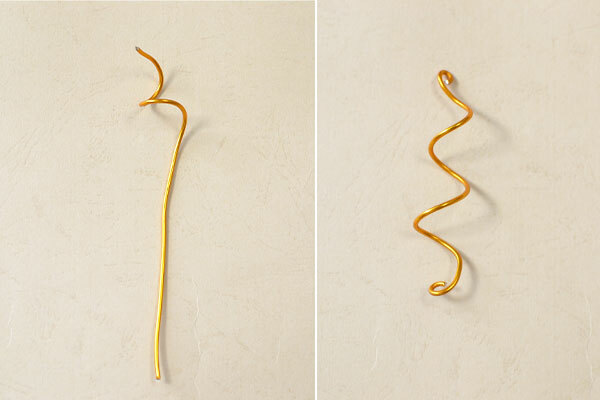 Maybe you can try these swirled wire wrapped earrings. 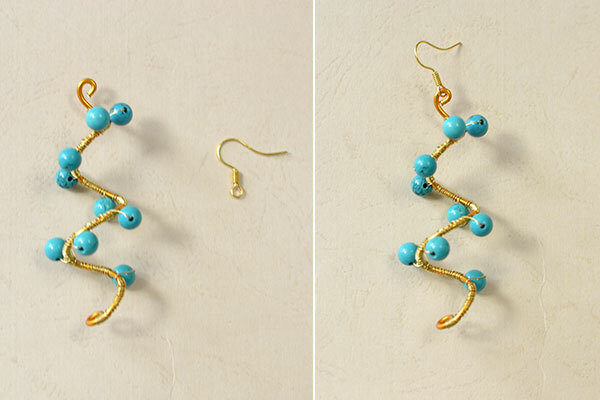 The simple tutorial below will show you how to make the swirled wire wrapped earrings with turquoise beads. 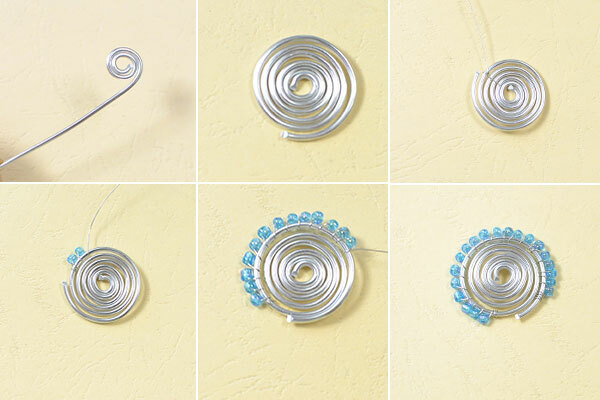 Fourthly, repeat the above steps to make another swirled wire wrapped earring. 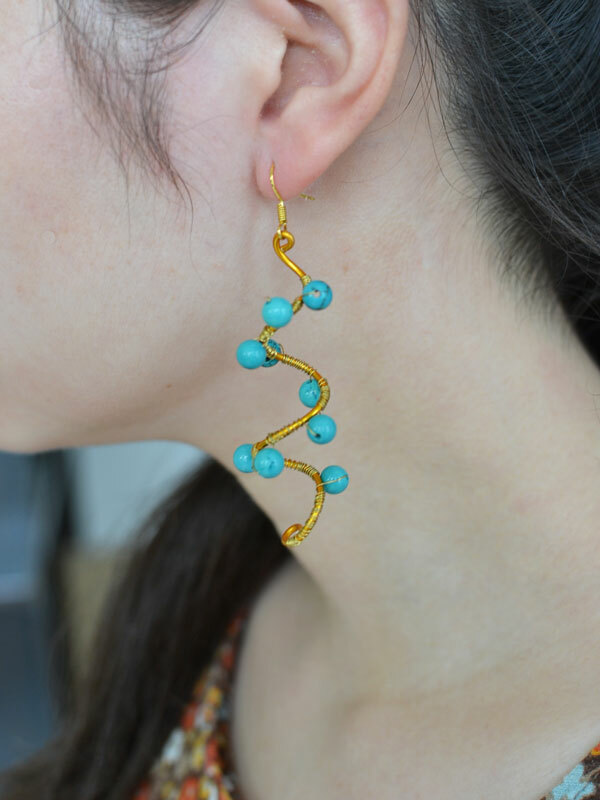 Now, I wear one swirled wire wrapped earring on my left ear. Do you like the swirled wire wrapped earrings? 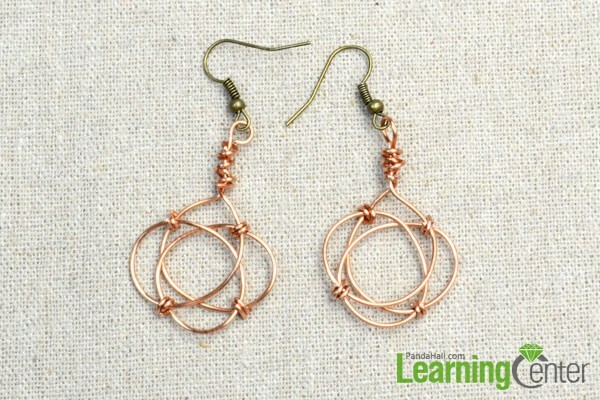 Just with the above simple steps, you can also make the swirled wire wrapped earrings. Just collect some wires and beads and have a nice try! Hello, guys, how are you? 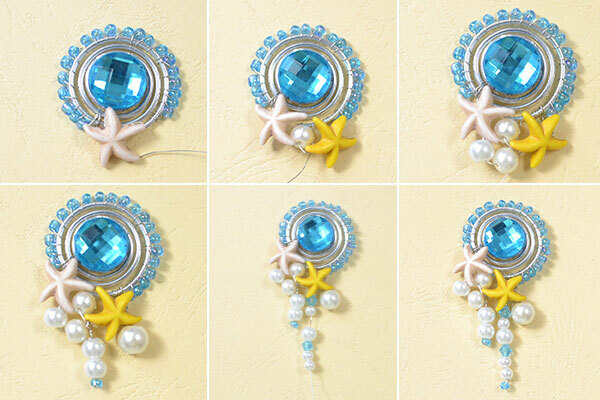 In today’s post, I will show you how to make a pair of sea blue earrings with pearl beads and seed beads. 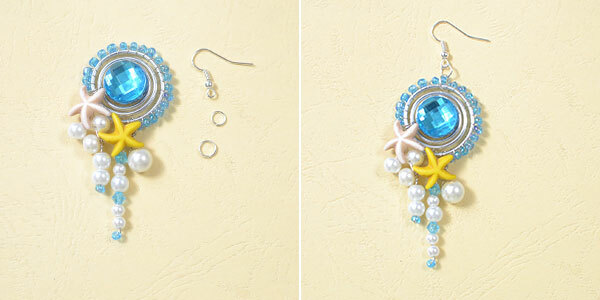 Hope you like the sea blue earrings. Now, let’s see the making tutorial. 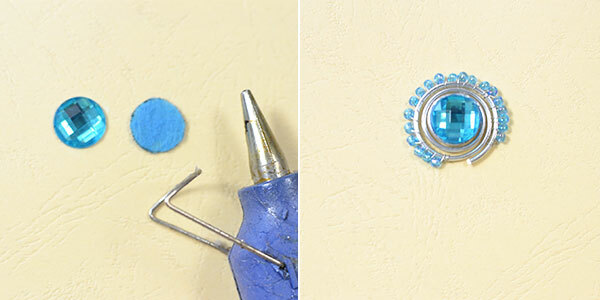 Secondly, add blue seed beads around the circular aluminum wire. Secondly, add star beads, white pearl beads and glass beads. 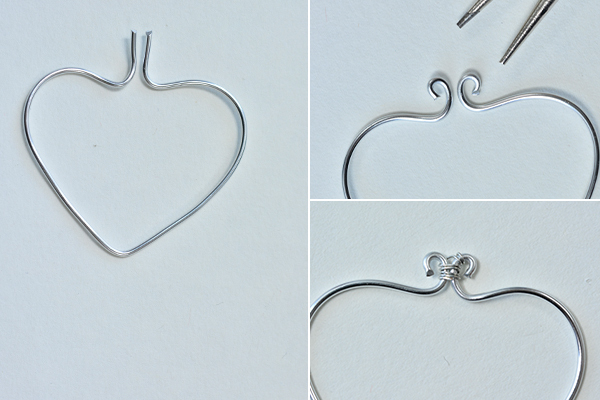 Thirdly, add a silver earring hook. Tada, the sea blue earrings are finished. 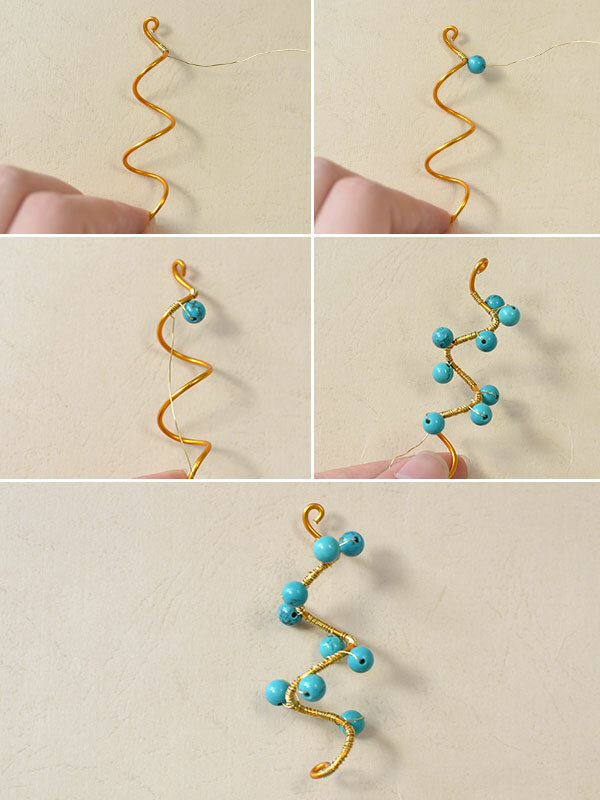 Hi, friends, wanna try some easy Christmas beads DIY project? 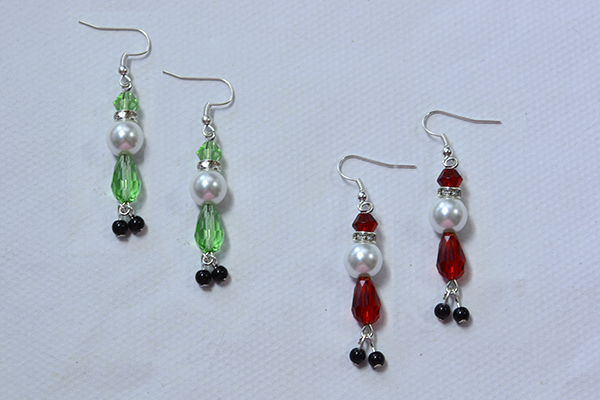 Today, you can see a pair of easy to make red bead drop earrings and green bead drop earrings. 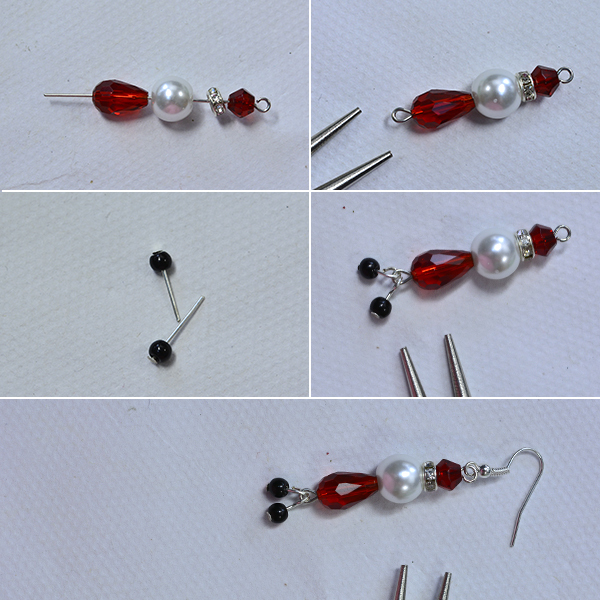 It’s quite easy to make the bead drop earrings with glass beads, pearl beads, spacer beads and earring hooks. Now, let’s see the simple tutorial. Lastly, make 2 green bead drop earrings. Tada~ The Christmas beads earrings are finished! Do you like the Christmas beads earrings? During the twisting of the eyepins and headpins, please take care of your hands. The instructions are clear and simple. Come on and have a try by yourself! 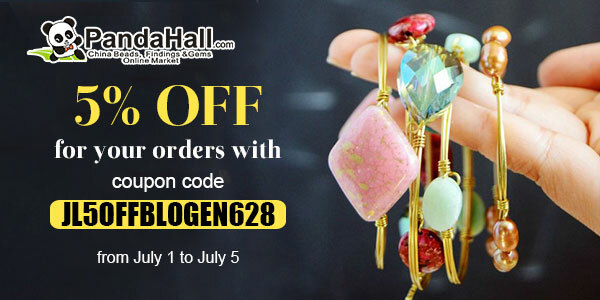 Hey girls, do you like this chic designed dangle earring? 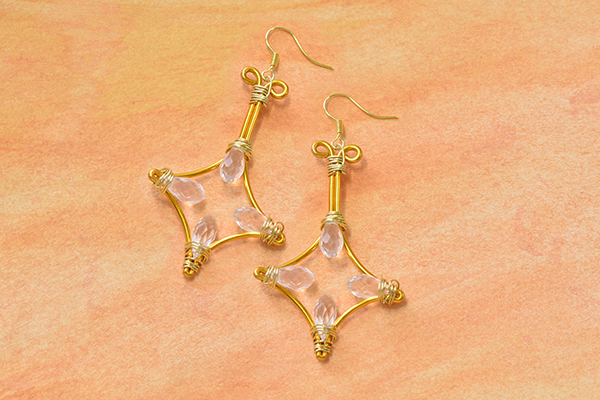 If you like wearing accessories in your daily life, then you shall never miss these lovely dangle earrings. 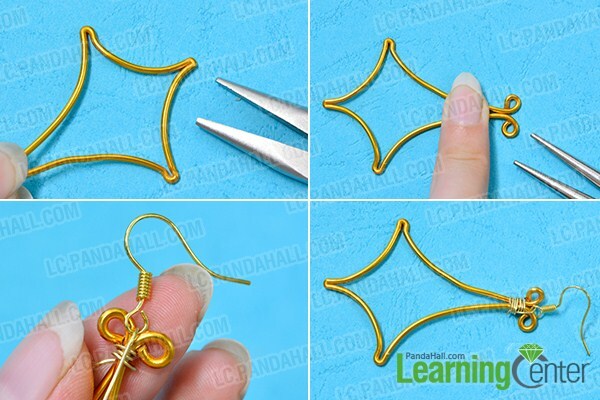 Just follow me and check out how to make such unique earrings at home! Step 1: Make the main dangle pattern. 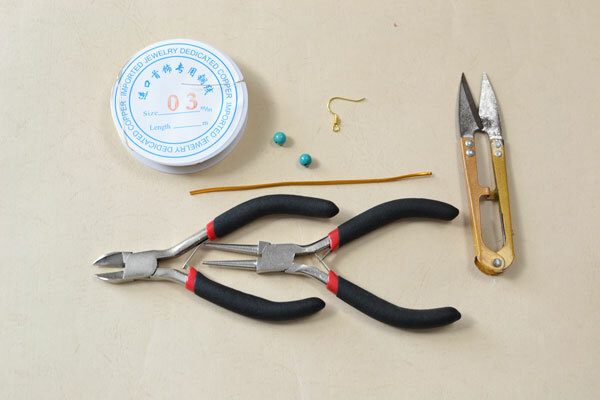 1st, cut a piece of 1.5mm gold aluminum wire and wrap it into a rhombus shape. 2nd, make a loop at each end of the rhombus, cut off extra wire. 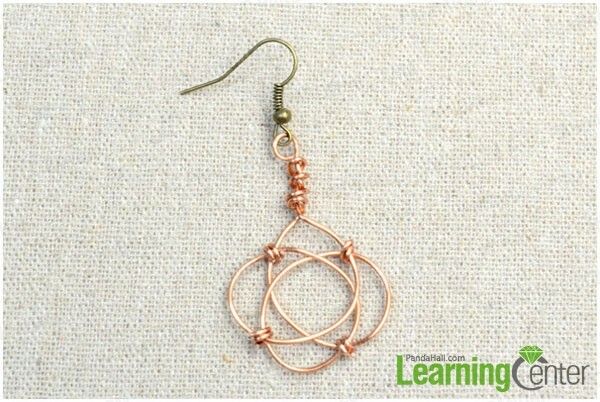 3rd, fix the rhombus with copper wire and add an earring hook on the top. 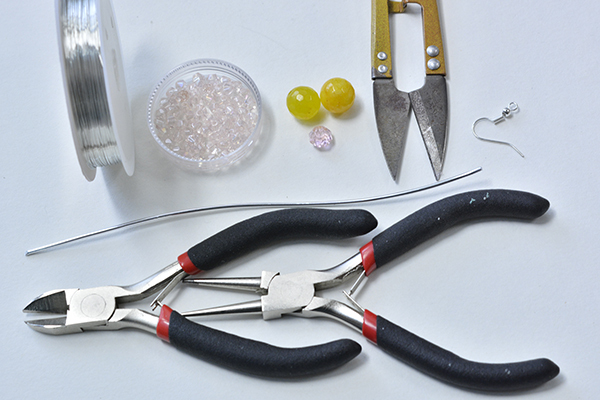 Step 2: Add beads to the rhombus dangles. 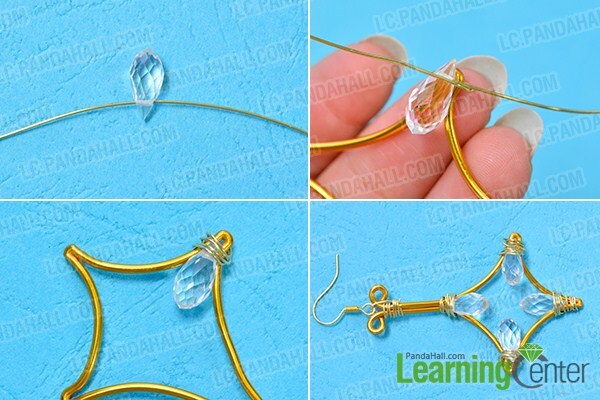 1st, cut a piece of 0.5mm gold copper wire and thread a 14x7mm clear faceted drop glass bead onto it. 2nd, wrap the bead to one corner of the rhombus dangle as picture shows. 3rd, repeat the previous procedure to add another three glass beads. 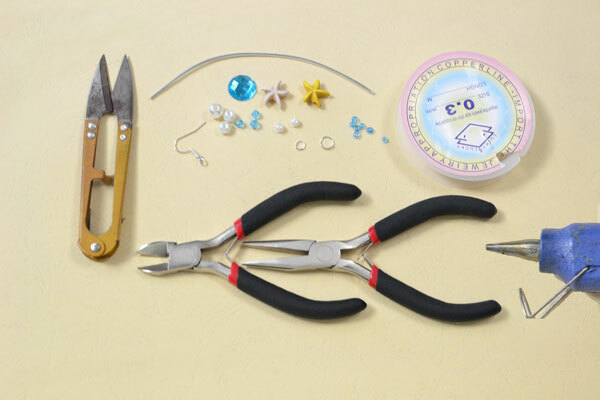 4th, make another rhombus dangle earring. Chic and not difficult to make. 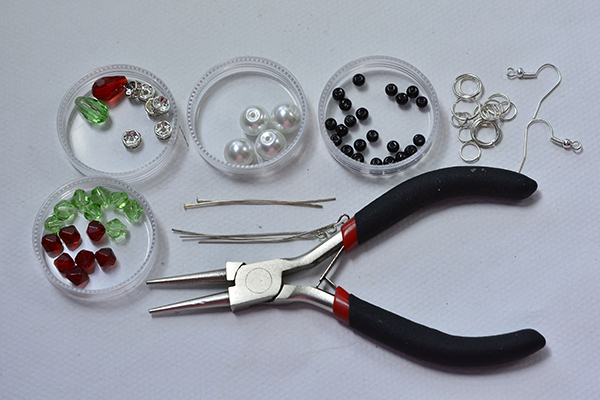 It requires no wire wrapping skills, you just need to be patient and careful while you’re making them. 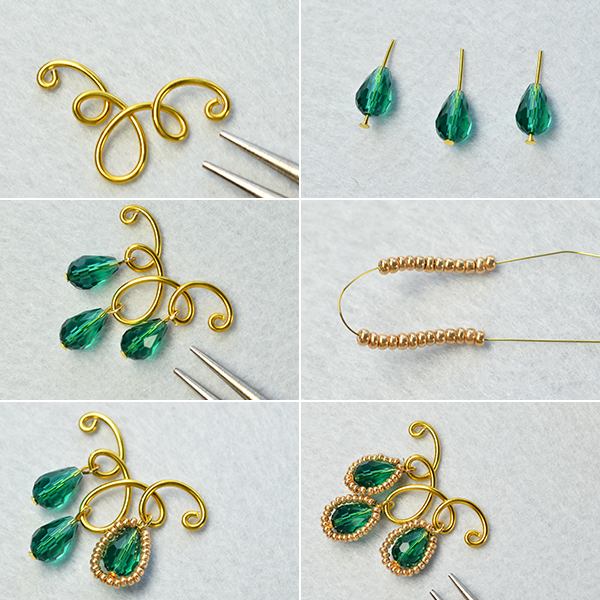 Even you’re a green hand of jewelry making, you can finish these lovely dangle earrings with 30 minutes. Just have a nice try! Hello there! 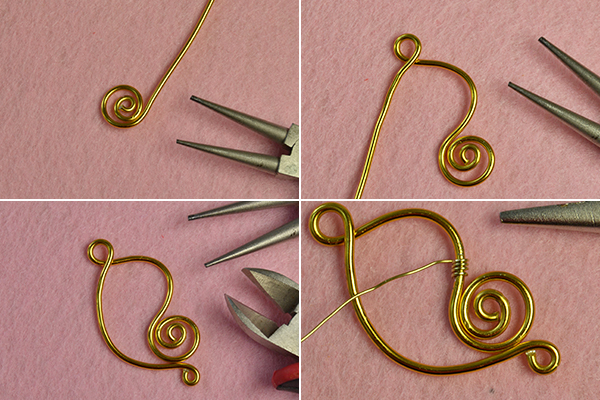 Today I’d like to share you a tutorial on how to make a pair of Celtic knot earrings, and they’re made by red copper wires, hope you’ll like the design. 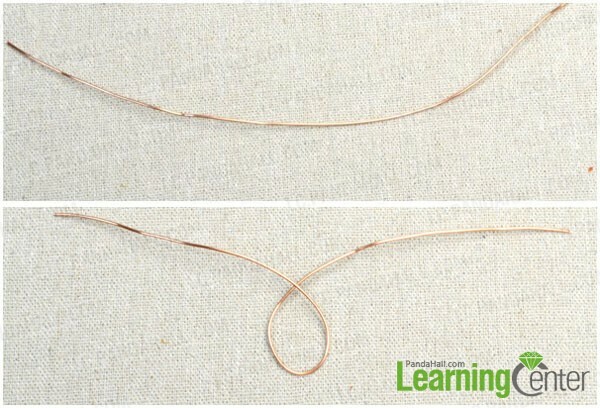 Step 1: Cut 20cm copper wire, twist it like picture shows below. 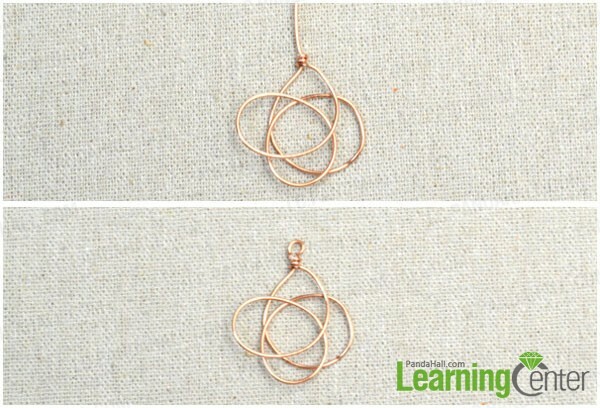 Step 2: Wrap the upper working wire in the counterclockwise direction for one circle and the below wire in the clockwise direction for one circle. 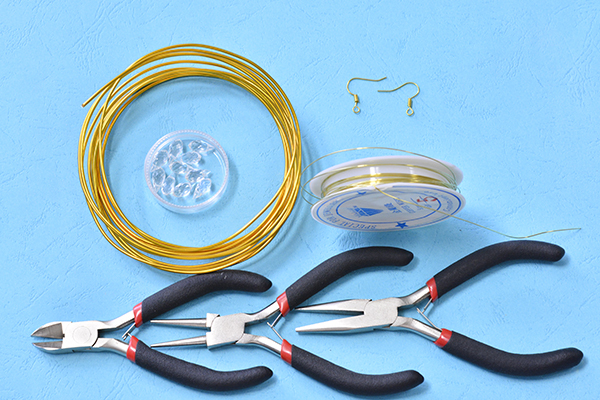 Step 3: Wrap one wire around another several times and cut extra wire. 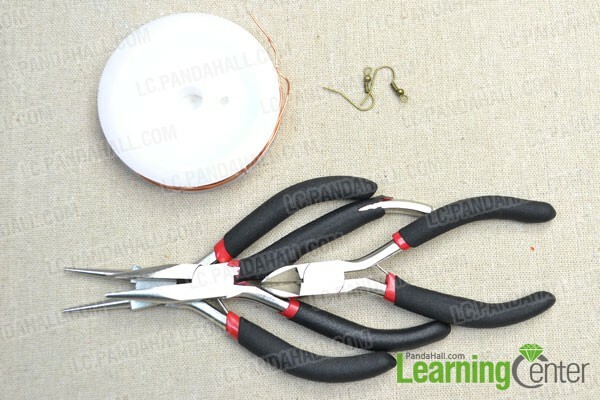 Make a loop of the rest wire and cut off extra wire. 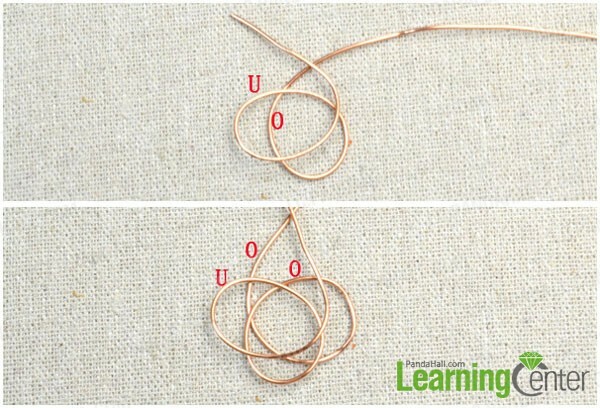 Step 4: Cut four short pieces of copper wire and wrap them to the knot like picture shows. 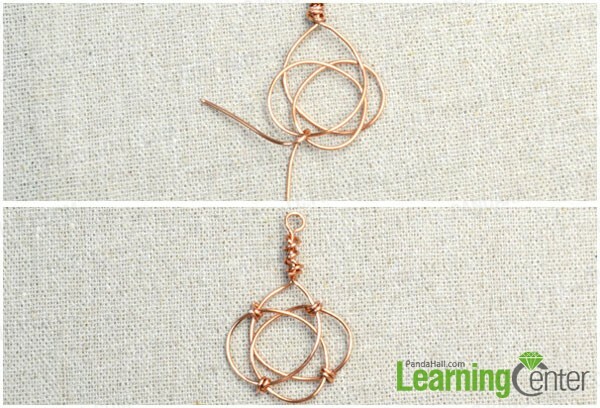 Step 5: Add an earring hook to the finished Celtic knot. Chic and not so difficult to make. You like them? If yes, just get some wire and make a pair by yourself! 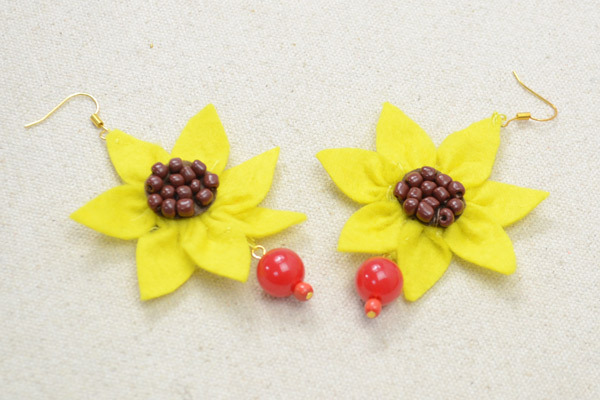 Like these lovely sunflower earrings? Light and bright colored, they are so great for the coming summer days! If you are a jewelry fan like I am, then just follow me and make a pair of sunflower dangle earrings to make your summer more shining! Step 1: Make the petals of the sunflower. 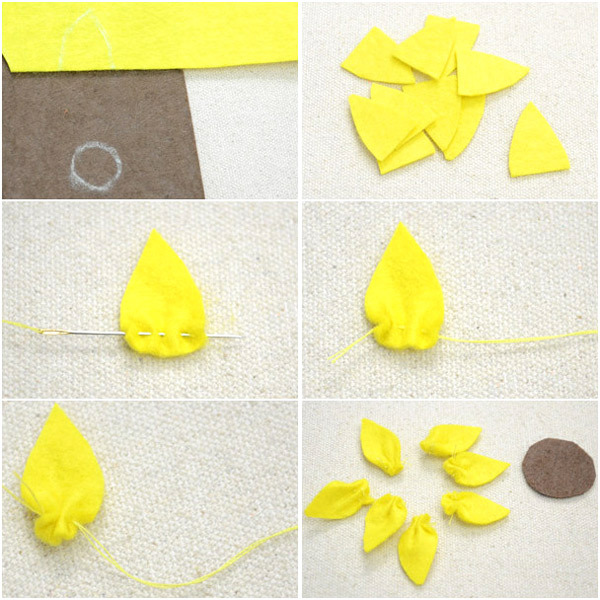 1st, outline the petal shapes on yellow felt and draw a circle as flower’s center on brown felt. 2nd, cut out the petals, make basic stiches with needle and tighten the thread, then make a knot and cut off extra thread. 3rd, repeat to make 7 petals. Step 2: Complete the sunflowers. 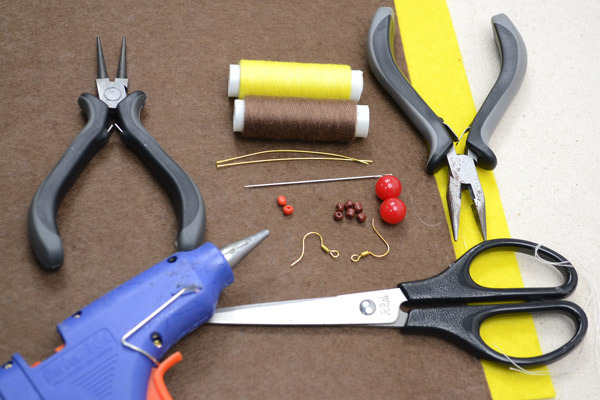 1st, cut out the brown circle and sew several brown seed beads onto it. 2nd, glue the petals onto the brown circle. 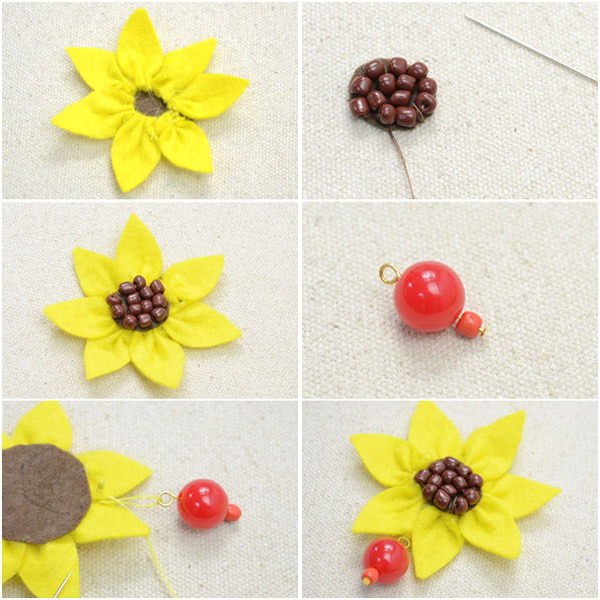 3rd, make a red bead link and sew it to the sunflower. Step 3: Finish the sunflower dangle earrings. 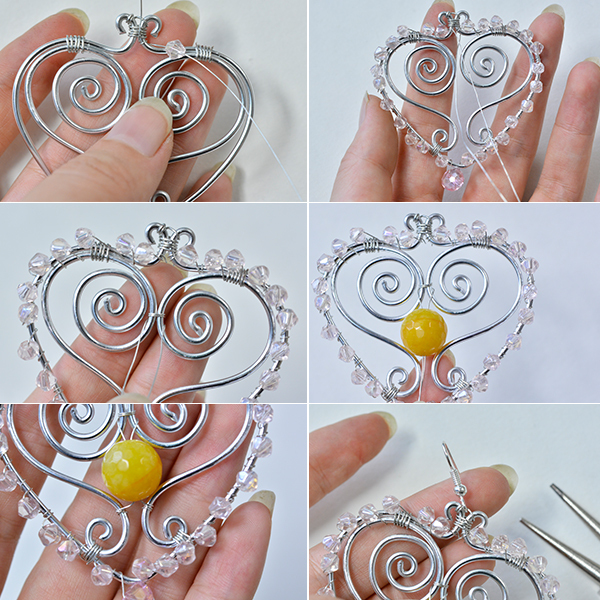 Sew an earring hook onto the petal which is just on the opposite side of the red bead dangle. Cute, and easy to make. If you like them, have a nice try!